The lessons learned from the ongoing saga of thimerosal are significant to all who care about vaccine safety, want justice for the injured, and to prevent future harm. The government has said they corrected the thimerosal issue and want us to believe the case is closed. But has the public been fooled with swapping one heavy metal toxicity for another? While thimerosal is still in some flu shots and is especially harmful to pregnant women, infants and children, there are increasing amounts of aluminum exposures from vaccines as more shots are added to the schedule. Like early reports about mercury, now children’s toxic profiles show alarming amounts of aluminum. And the problems don’t end with heavy metals. There are other vaccine contaminants that can cause harm, like retroviruses, formaldehyde, and aborted human fetal tissue. In short, we are in desperate need of an agency that can protect our citizens, especially children, from vaccine injuries. How can the controversy and handling of thimerosal-containing vaccines instruct us as we move forward for real reform? Thimerosal is the infamous mercury-containing preservative in use, to this day, in some vaccines and also in dozens of other pharmaceutical products approved by the Food and Drug Administration (FDA).1-3 Public health agencies, government regulators and medical trade groups have repeatedly declared thimerosal to be safe,4,5 but the published peer-reviewed science argues that nothing could be further from the truth. For anyone who bothers to investigate thimerosal’s appalling record, there is a vast, still accumulating and compelling body of research that contradicts the public health establishment’s deceptive safety claims. Before the invention of modern antibiotics and antiseptics, physicians experimented with mercury-containing compounds to try to stave off microbial pathogens. Thimerosal was born of those efforts. Dr. Morris Kharasch, a university chemist and Eli Lilly fellow, developed thimerosal and filed for a patent in June, 1929, describing thimerosal as an “alkyl mercuric sulfur compound” with antibacterial properties. Eli Lilly and Company registered thimerosal under the trade name Merthiolate later that year. …they did not consider the possibility of mercury-induced brain damage. Eli Lilly researchers reported in 1931 that animals seemed to tolerate high doses of thimerosal. However, many of those animals died of evident mercury poisoning just days after the study ended. Also noteworthy is the fact that in early animal toxicity studies and many later research efforts, researchers did not assess socialization behaviors or perform cognition tests. In other words, they did not consider the possibility of mercury-induced brain damage. During this same time period, the Eli Lilly researchers reported on the first injections of thimerosal into humans. The unlucky recipients of large doses of Merthiolate were twenty-two patients hospitalized during a 1929 epidemic of meningococcal meningitis in Indianapolis. The thimerosal had no apparent therapeutic benefit, and all twenty-two patients died—seven of them within one day of thimerosal administration. The researchers nevertheless described the experiment as a success, and a published paper stated that “these large doses did not produce any anaphylactoid or shock symptoms” (neither of which is associated with toxic mercury exposure). However, the clinician who treated the meningitis patients apparently was not convinced of thimerosal’s efficacy, stating, “Beneficial effects of the drug were not definitely proven.” Moreover, any short-term neurological or other deleterious effects of the thimerosal would likely have been masked by or attributed to the patients’ meningitis infections. For decades, Eli Lilly promoted its confident version of the Indianapolis results as evidence of thimerosal’s safety, paving the way for thimerosal’s inclusion in various antiseptic products, including nasal sprays, eyewashes, vaginal spermicides and diaper rash treatments. This escalation of thimerosal use in consumer products occurred despite numerous studies from the 1930s showing that thimerosal was not, in fact, “highly germicidal” and actually was more effective at destroying human cells than killing pathogens. Thimerosal never measured up to its supposed raison d’être of safely preventing microbial contamination, and studies continued to chalk up clear and unequivocal evidence that thimerosal was deadly to human cells. Through the 1970s and 1980s, children in the U.S. generally received eight injections of three types of vaccines—oral polio, measles-mumps-rubella (MMR) and diphtheria-tetanus-pertussis (DTP) vaccine—in their first eighteen months. The DTP vaccine contained fifty micrograms of thimerosal per shot, translating into one hundred micrograms of mercury exposure by eighteen months. In 1986, after more and more people began suing vaccine manufacturers for serious vaccine injuries primarily related to the DTP vaccine, Congress took the unprecedented step of granting vaccine manufacturers full immunity from lawsuits. The National Childhood Vaccine Injury Act of 1986 established a compensation program “as an alternative remedy to judicial action for specified vaccine-related injuries.”13 By making it impossible for vaccine-injured plaintiffs to sue pharmaceutical companies, the result—whether intended or unintended—was to eliminate any financial incentive to make vaccine safety a priority. By making it impossible for vaccine-injured plaintiffs to sue pharmaceutical companies, the result—whether intended or unintended—was to eliminate any financial incentive to make vaccine safety a priority. Beginning in 1989, the CDC’s Advisory Committee on Immunization Practices (ACIP) began steadily increasing the types and total number of vaccines required for school attendance, including thimerosal-containing vaccines. By 1999, the expanded vaccine schedule called for children to receive nineteen vaccine injections by age two, eleven of which contained thimerosal. Children born in the 1990s could be injected, therefore, with up to 237.5 micrograms of mercury by their second birthday, and as much as 62.5 micrograms at a single doctor’s visit. The elementary grades are overwhelmed with children who have symptoms of neurological and/or immune system damage: epilepsy, seizure disorders, various kinds of palsies, autism, mental retardation, learning disabilities, juvenile-onset diabetes, asthma, vision/hearing loss, and a multitude of new conduct/behavior disorders. We [school nurses] have come to believe the hepatitis B vaccine is an assault on a newborn’s developing neurological and immune system. Vaccines are supposed to be making us healthier. However, in twenty-five years of nursing I have never seen so many damaged, sick kids. Something very, very wrong is happening to our children. Despite these apparent attempts to make the association “go away,” Verstraeten was obligated to present the troublesome finding of linear and statistically significant dose-related relationships between thimerosal exposure and neurodevelopmental disorders to the group assembled at Simpsonwood. The group then heard a presentation by Thomas Verstraeten, a research fellow at CDC who subsequently went on to a decade-long career at GlaxoSmithKline. Verstraeten had been working up a study using data from the Vaccine Safety Datalink (established by the CDC in 1990 to study rare and serious vaccine adverse events), scrutinizing data from roughly one hundred and ten thousand children born between 1992 and 1997 and enrolled at U.S. health maintenance organizations. The study sought to assess the relationship between thimerosal exposure (at one, two, three and six months of age) and neurological damage. After the initial findings showed a possible causal link, Verstraeten reworked the study design and analyses several times prior to Simpsonwood. Despite these apparent attempts to make the association “go away,” Verstraeten was obligated to present the troublesome finding of linear and statistically significant dose-related relationships between thimerosal exposure and neurodevelopmental disorders to the group assembled at Simpsonwood. I hear the majority of the consultants say…that they are not convinced there is a causality direct link between Thimerosal and various neurological outcomes. …The research results have to be handled, and even if this committee decides that there is no association…through freedom of information that will be taken by others and will be used in other ways beyond the control of this group. […] My mandate…is to make sure…that 100,000,000 are immunized with DTP, Hepatitis B and if possible Hib, this year, next year and for many years to come, and that will have to be with Thimerosal-containing vaccines unless a miracle occurs and an alternative is found quickly and is tried and found to be safe. […] How will it be presented to a public and a media that is hungry for selecting the information they want to use for whatever means they have in store for them? …I wonder how on earth you are going to handle it from here. Attendee William Weil (a pediatrician representing the AAP) noted that even accepting Stehr-Green’s assertion that Verstraeten hadn’t proven a link to neurodevelopmental disorders, it was alarming that he hadn’t disproven it, and there was insufficient evidence, he pointed out, to reject a possible causal relationship. He stated that “the possibility that the associations could be causal has major significance for public and professional acceptance of thimerosal-containing vaccines.” Weil also observed that “the number of kids getting help in special education is growing nationally and state by state at a rate we have not seen before.” Another of his observations was that thimerosal in vaccines represented “repeated acute exposures” and that “the earlier you work with the central nervous system, the more likely you are to run into a sensitive period for one of these [neurodevelopmental] effects.” Finally, Weil pointed out the limitations of epidemiological studies, calling for further indepth animal and developmental neurotoxicity studies and stating: “Some of the really gutsy questions from a person who is very concerned about neurodevelopment cannot be answered out of this.” At the same time, Weil cautioned others not to overly minimize or “play with” the VSD data. Weil was the only reviewer present to rate the association between thimerosal and the neurodevelopmental outcomes as strong, giving it a four on a scale of one to six (where one was weakest). …CDC moved aggressively to hastily gin up five poorly designed epidemiological studies to disprove the link between thimerosal and neurodevelopmental disorders. The notion that “trace amounts” of a substance as highly toxic as mercury might be benign is exceedingly misleading. Discussing methylmercury, the Lancet authors also noted that developmental neurotoxicity occurs at far lower exposure levels than “the concentrations that affect adult brain function.” Other investigators have argued that there may be no meaningful safety threshold for methylmercury.27 Given the body of research indicating that ethylmercury is more toxic than methylmercury and that both have comparable mechanisms of toxicity, it stands to reason that warnings about the risks of lower exposure levels would also apply to ethylmercury. Thimerosal passes more easily from a mother’s bloodstream through the placenta than does methylmercury.31 Fetal cord blood mercury levels are typically about double the mother’s mercury blood levels.32 This is cause for concern for developing babies in light of the CDC’s 2004 recommendation that all pregnant women in any trimester get flu shots. By 2012–2013, uptake of flu shots during pregnancy had steadily increased to approximately 50 percent.33 Manufacturers still preserve millions of flu shots with massive bolus doses of thimerosal (about thirty-six million flu shots containing twenty-five micrograms of mercury in the 2017-2018 flu season),34 meaning that children born since 2004 have been increasingly likely to be exposed to thimerosal in utero. 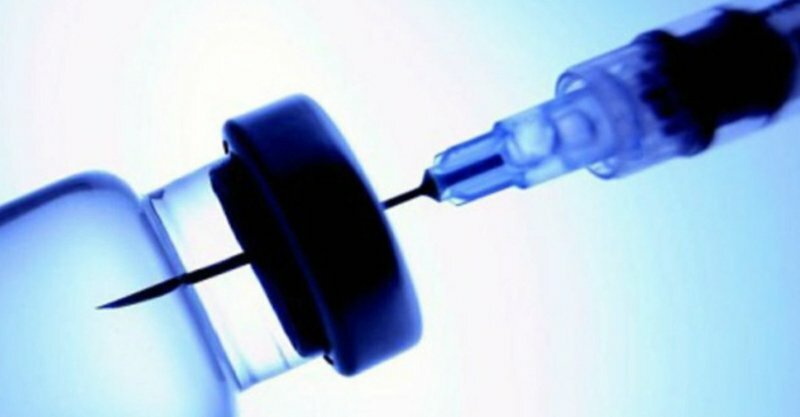 A 2017 CDC study reviewing data from the 2010–11 and 2011–2012 flu seasons linked spontaneous abortions to flu vaccines, finding that women vaccinated with the inactivated influenza vaccine had 3.7-fold greater odds of spontaneous abortion within twenty-three days than women not receiving the vaccine.35 For women who received the H1N1 vaccine in both seasons covered in the study, the odds of spontaneous abortion in the month after receiving a flu vaccine were 7.7 times greater. The vast majority of flu vaccines available during the seasons studied were multidose formulations containing twenty-five micrograms of mercury. The medical establishment’s defense of thimerosal’s safety has proven highly successful in tamping down deeper investigation into thimerosal and the vaccine industry. Perhaps because major pharmaceutical companies (the makers of vaccines) are among the biggest advertisers in the U.S., the mainstream press has accepted these government orthodoxies and ignored the ample evidence showing that thimerosal is toxic. In fact, the thimerosal saga illustrates the aggressive, knee-jerk rejection by the press, the medical community and allied financial interests of any scientific information suggesting that established medical practices are harming public health. Nevertheless, continuing to wait for more research is not a reasonable public policy option. Thimerosal is dangerous to human health and should immediately be removed from all vaccines (as well as other pharmaceutical and cosmetic products), both in the U.S. and globally. 1. Geier DA, Sykes LK, Geier MR. A review of thimerosal (Merthiolate) and its ethylmercury breakdown product: specific historical considerations regarding safety and effectiveness. J Toxicol Environ Health B 2007;10:575-596. 2. Food and Drug Administration. “Mercury in drug and biologic products.” https://childrenshealthdefense.org/wp-content/uploads/2016/10/MercuryinDrugsandBiologicsFDAupdated_2009.pdf. 3. Children’s Health Defense. “Mercury in medicine.” https://childrenshealthdefense.org/mercury-facts/mercury-in-medicine/. 4. Centers for Disease Control and Prevention. “Thimerosal in vaccines.” https://www.cdc.gov/vaccinesafety/concerns/thimerosal/index.html. 5. Food and Drug Administration. “Thimerosal and vaccines.” Last updated Jan. 5, 2018. https://www.fda.gov/BiologicsBloodVaccines/SafetyAvailability/VaccineSafety/UCM096228. 6. Risher JF, Tucker P. Alkyl mercury-induced toxicity: multiple mechanisms of action. Rev Environ Contam Toxicol 2017;240:105-149. 7. Al-Tikriti K, Al-Mufti AW. An outbreak of organomercury poisoning among Iraqi farmers. Bull World Health Organ 1976;53(Suppl):15-21. 8. Hilmy MI, Rahim SA, Abbas AH. Normal and lethal mercury levels in human beings. Toxicol 1976;6:155-159. 9. Burbacher TM, Shen DD, Liberato N, Grant KS, Cernichiari E, Clarkson T. Comparison of blood and brain mercury levels in infant monkeys exposed to methymercury or vaccines containing thimerosal. Environ Health Perspect 2005;113(8):1015-1021. 10. Dórea JG. Integrating experimental (in vitro and in vivo) neurotoxicity studies of low-dose thimerosal relevant to vaccines. Neurochem Res 2011;36(6):927-938. 11. Rooney JP. The retention time of inorganic mercury in the brain—a systematic review of the evidence. Toxicol Appl Pharmacol 2014;274(3):425-435. 12. Centers for Disease Control and Prevention. General recommendations on immunization: recommendations of the Advisory Committee on Immunization Practices (ACIP). MMWR 2011;60(2). 13. National Childhood Vaccine Injury Act of 1986. https://www.congress.gov/bill/99th-congress/house-bill/5546. 14. 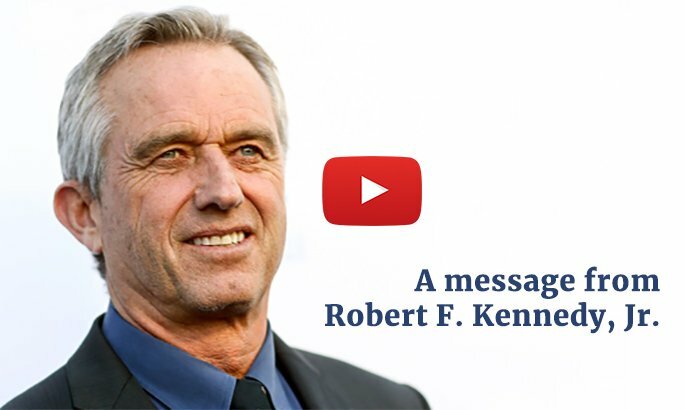 Kennedy, RF Jr. Thimerosal: Let the Science Speak. New York, NY: Skyhorse Publishing; 2015. 15. Joint statement of the American Academy of Pediatrics (AAP) and the United States Public Health Service (USPHS). Pediatrics 1999;104(3). 16. Scientific review of Vaccine Safety Datalink information. Simpsonwood Retreat Center, Norcross, GA; June 7-8, 2000. Available at: https://childrenshealthdefense.org/wp-content/uploads/2016/10/The-Simpsonwood-Documents.pdf. 17. European Medicines Agency. “Signal management.” http://www.ema.europa.eu/ema/index.jsp?curl=pages/regulation/general/general_content_000587.jsp&mid=WC0b01ac0580727d1b. 18. Verstraeten T, Davis RL, DeStefano F et al. Safety of thimerosal-containing vaccines: a two-phased study of computerized health maintenance organization databases. Pediatrics 2003;112:1039-1048. 19. Stehr-Green P, Tull P, Stellfeld M, Mortenson PB, Simpson D. Autism and thimerosal-containing vaccines: lack of consistent evidence for an association. Am J Prev Med 2003;25:101-106. 20. Hviid A, Stellfeld M, Wohlfahrt J, Melbye M. Association between thimerosal-containing vaccine and autism. JAMA 2003;290:1763-1766. 21. Madsen KM, Lauritsen MB, Pedersen CB et al. Thimerosal and the occurrence of autism: negative ecological evidence from Danish population-based data. Pediatrics 2003;112:604-606. 22. Andrews N, Miller E, Grant A, Stowe J, Osborne V, Taylor B. Thimerosal exposure in infants and developmental disorders: a retrospective cohort study in the United Kingdom does not support a causal association. Pediatrics 2004;114:584-591. 23. Orenstein WA, Paulson JA, Brady MT, Cooper LZ, Seib K. Global vaccination recommendations and thimerosal. Pediatrics 2013;131(1). 24. Cooper LZ, Katz SL. Ban on thimerosal in draft treaty on mercury: why the AAP’s position in 2012 is so important. Pediatrics 2013;131(1). 25. Centers for Disease Control and Prevention. “Understanding thimerosal, mercury, and vaccine safety.” Last reviewed Feb. 2013. https://www.cdc.gov/vaccines/hcp/patient-ed/conversations/downloads/vacsafe-thimerosal-color-office.pdf. 26. Grandjean P, Landrigan PJ. Neurobehavioural effects of developmental toxicity. Lancet Neurol 2014;13: 330-338. 27. Rice DC. The U.S. EPA reference dose for methylmercury: sources of uncertainty. Environ Res 2004;95:406-413. 28. Guzzi G, Pigatto PD, Spadari F, La Porta CA. Effect of thimerosal, methylmercury, and mercuric chloride in Jurkat T Cell Line. Interdiscip Toxicol 2012;5(3):159-161. 29. Harry GJ, Harris MW, Burka LT. Mercury concentrations in brain and kidney following ethylmercury, methylmercury, and Thimerosal administration to neonatal mice. Toxicol Lett 2004;154(3):183-189. 30. Holmes AS, Blaxill MF, Haley BE. Reduced levels of mercury in first baby haircuts of autistic children. Int J Toxicol 2003;22(4):277-285. 31. Leonard A, Jacquet P, Lauwerys RR. Mutagenicity and teratogenicity of mercury compounds. Mutat Res 1983;114(1):1-18. 32. Stern AH, Smith AE. An assessment of the cord blood: maternal blood methylmercury ratio: implications for risk assessment. Environ Health Perspect 2003;111(12):1465-1470. 33. Centers for Disease Control and Prevention. Influenza vaccination coverage among pregnant women—United States, 2012-13 influenza season. MMWR 2013;62(38):787-792. 34. Centers for Disease Control and Prevention. Seasonal influenza vaccine supply for the U.S. 2017-2018 influenza season. https://www.cdc.gov/flu/about/qa/vaxsupply.htm. 35. Donahue JG, Kieke BA, King JP, et al. Association of spontaneous abortion with receipt of inactivated influenza vaccine containing H1N1pdm09 in 2010-11 and 2011-12. Vaccine 2017;35(40):5314-5322. 36. Sifferlin A. Experts argue to keep thimerosal in some vaccines. TIME, Dec. 27, 2012. 37. Tavernise S. Vaccine rule is said to hurt health efforts. The New York Times, Dec. 17, 2012. 38. World Health Organization. “Thiomersal in vaccines.” http://www.who.int/vaccine_safety/committee/topics/thiomersal/Jun_2012/en/. 39. Anetor GO. Waste dumps in local communities in developing countries and hidden danger to health. Perspect Public Health 2016;136(4):245-251. 40. Chakrabarti SK, Bai C. Effects of protein-deficient nutrition during rat pregnancy and development on developmental hindlimb crossing due to methylmercury intoxication. Arch Toxicol 2000;74(4-5):196-202. 41. Tsai MS, Chen MH, Lin CC, et al. Children’s environmental health based on birth cohort studies of Asia. Sci Total Environ 2017;609:396-409. This article appeared in Wise Traditions in Food, Farming and the Healing Arts, the quarterly magazine of the Weston A. Price Foundation, Spring 2018.